Strathclyde Business School's Growth Advanatage Programme was a catalyst for Wendy Pring who has seen transformational change in her business since she completed the programme. Here, she outlines what she gained from doing the programme. Almost a year on from what was - for me - a particularly challenging weekend on Leadership at Strathclyde Business School’s Growth Advantage Programme (GAP) I do have to pinch myself a little on the journey that our team and I have been on since then. There has been transformational and emotional change at all levels of the business. However, as an SME headquartered in rural East Ayrshire, with an extensive and well established UK wide customer base, challenges aren’t new to me – some challenges are often simply due to the geography and diversity of our rural area. After the initial weekend I knew the next few months were going to be anything but easy, but my team and I were ready for it. I believe wholeheartedly that GAP provided the business tools, the knowledge bank and network which has allowed me to develop my team at KCP more effectively and see more clearly our scale-up opportunities - and be brave enough to start to make the changes. I am a Chartered Civil Engineer working in the sector of waste management/ resource management/circular economy – our business area seemed to change according what was on trend at the time. Confusing language and poor communication leads to apathy, disengagement and reduction in the desire to participate in something and as a result I withdrew from networking as I couldn’t keep up with the changes and I was too busy trying to attract new clients. That was a few years ago when I was making conscious business decisions as opposed to maintaining the ‘husband and wife lifestyle’ business model which I didn’t even know was a model then! However, in 2012 I completed a Scottish Enterprise six month programme and it changed my work approach - I networked more effectively and six years later I stepped back into the University I initially graduated from in 1991 to undertake GAP in the Business School. By then we had already established our business as a non-lifestyle business and were serious about scaling up and a friend recommended GAP to us. GAP allowed me to understand how many of the ‘business aspects’ in our day to day life we were actually already doing albeit in our own home made way. It was working for us but the difficulty lay in taking what was in my head as an engineer and conveying that to the rest of my team. I behaved in the ways I believed to be correct and showed my team what I wanted that way – this saved me finding the right words! In essence, I led by example and created systems and processes that I believe empower and inspire and develop all our team. The introduction during GAP of the Business Model Canvas took one of our ‘pain points’ and made it something my team are now owning and developing, freeing me up to work ‘on the business’. GAP has provided this and so many other tools. The knowledge and the connections made have absolutely allowed us to grasp an amazing opportunity to move forward on a patented product we have. This opportunity has the potential to disrupt dredging and provide secondary remediation, such as the ability to remove micro plastics from waterways and, potentially, seas. GAP provided me with implementable tools and facilitated discussions around how this could work, and showed me the areas where I could cascade knowledge and responsibility within our Team to allow me the liberation to move our business forward. 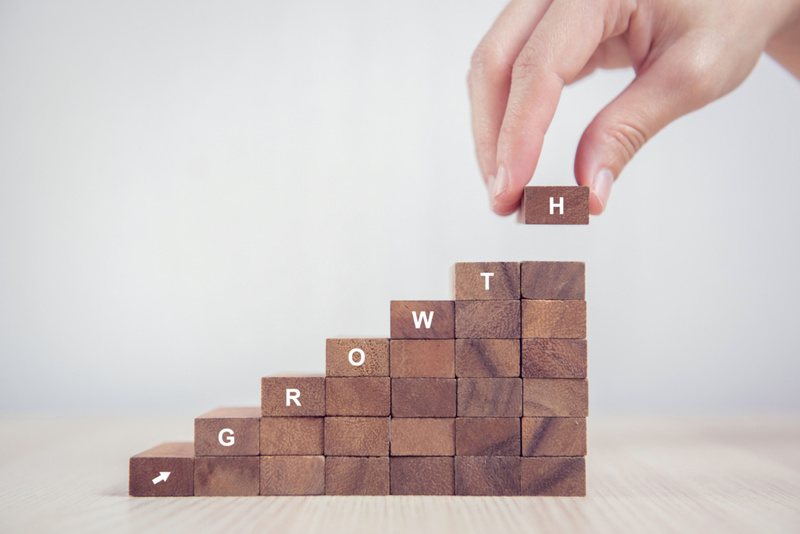 The real life look at your business and identification of some key areas of growth is invaluable. We are now in the process of embarking on a KTP with UWS and a number of key discussions have already been established with progressive organisations we would like to work with. The creation of a Board and appointment of a Chair have also all occurred, calling on my network over the last 30 years, within eight months of completing the programme and 17 months from starting GAP. I am also learning to accept that there is an element of this that is just down to my passion, determination and desire to leave a legacy; however, the prize for allowing me to see that also goes to the GAP team at Strathclyde who create the space and the questions and the trust alongside massive doses of inspiration which have allowed me to be that version of me. In addition to the hard practical tools, the nurture, trust and peer to peer learning in GAP was also tremendous as was the strong feeling of connection and genuine interest in the other businesses. This worked because of the exceptional facilitation and open discussions. Being asked to look at what our business would be if it was a ‘billion-dollar baby’ as part of GAP was not fanciful, it was insightful and creative. My ‘GAP year’ has been the last eight months as this is the time where I have been liberated to allow bigger, better and faster changes within our organisation. Just like any transformational change it has required the support of many, many people both from within KCP and those outside who listen, coach and mentor us. Entrepreneur would never have been a title I would have applied to me prior to GAP but now I am happy to own it, embrace it and move our team forward with that philosophy - whilst still being an Engineer! Wendy Pring is co-founder and managing director of KCP Environmental, leading experts in the provision of specialist maintenance services. Wendy is a Chartered Civil Engineer and founded KCP in 2002. Subscribe to our blog and receive notifications when the next posts are published. The University of Strathclyde is a charitable body, registered in Scotland, number SC015263.